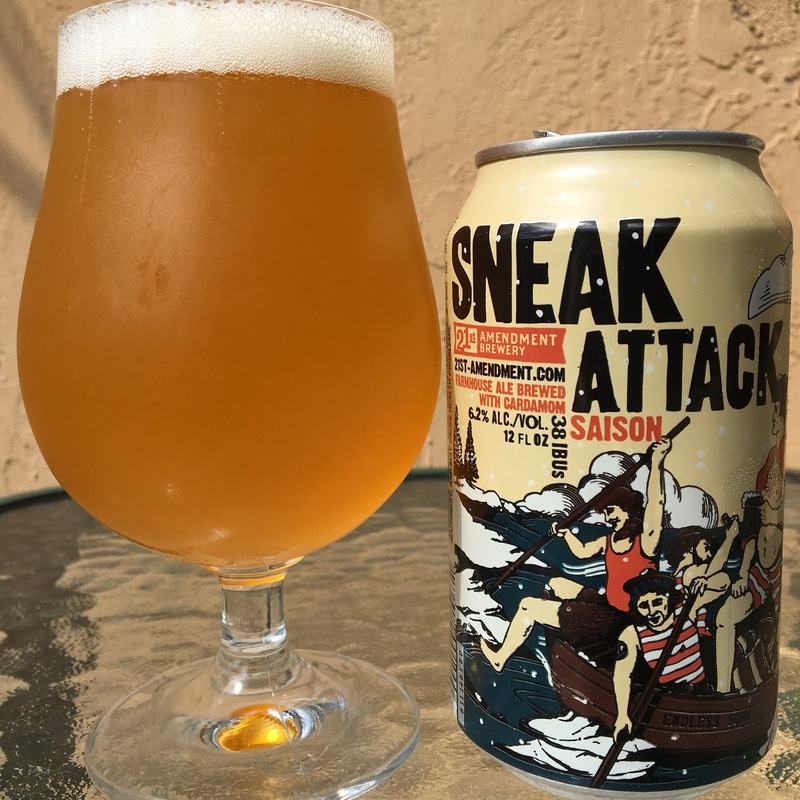 21st Amendment brewed a saison as a winter seasonal. That's the "sneak attack" in Sneak Attack Saison, a farmhouse ale brewed with cardamom. 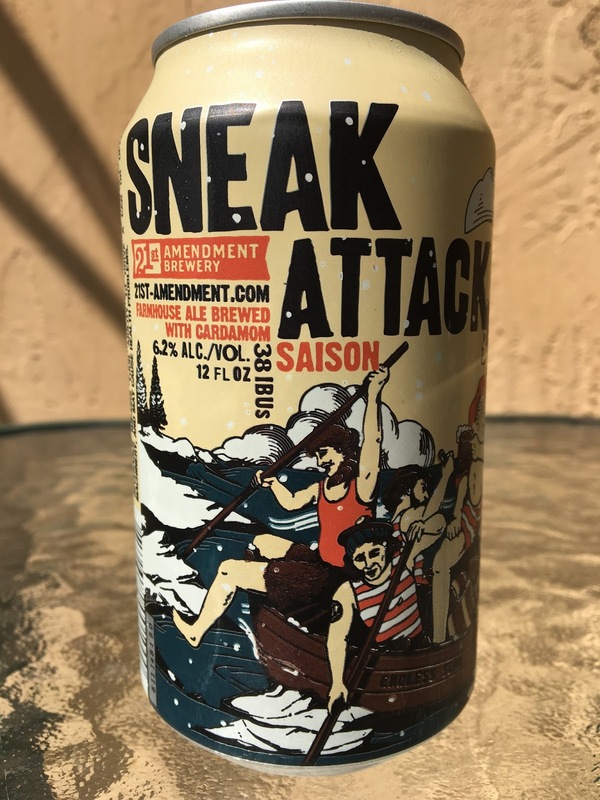 The artwork on the can is supposed to remind you of the famous Washington surprise attack, crossing the icy Delaware River. The group of under-dressed yahoos drinking beer aboard the Endless Soma, however, I don't believe have a chance! 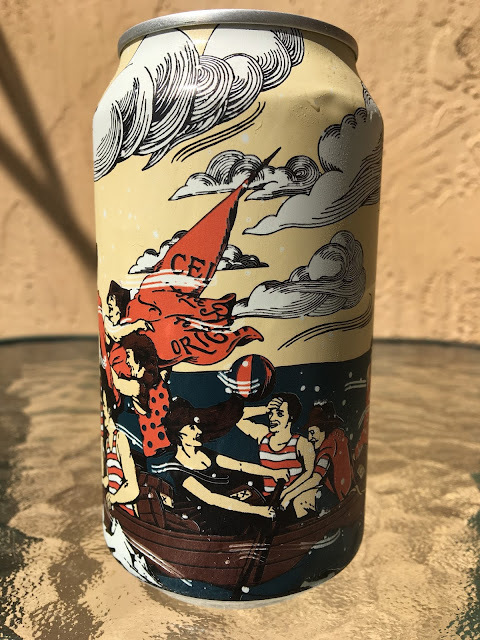 6.2% alcohol. 38 IBU. Lightly fruity, yeasty and spicy aroma. Light fruity flavors too, soft peaches and oranges. There is an interesting and very distinct spiciness that persists, which suppose is the cardamom. Yeasty, farmhouse hay. Some light bitterness at the finish. Very dry at the finish as well. All in balance, not bad. Wanted a little more bite from some aspect.